Che Guevara once said that revolutions are driven by a deep sense of love. I smile at these words, for I have witnessed such love of humanity in the pedagogical praxis of a man not too long ago. This love is not merely abstract but is also evident in the narratives of al-nas, the Qur’anic term for masses of people, and their ability to act as a fundamental component of social change. 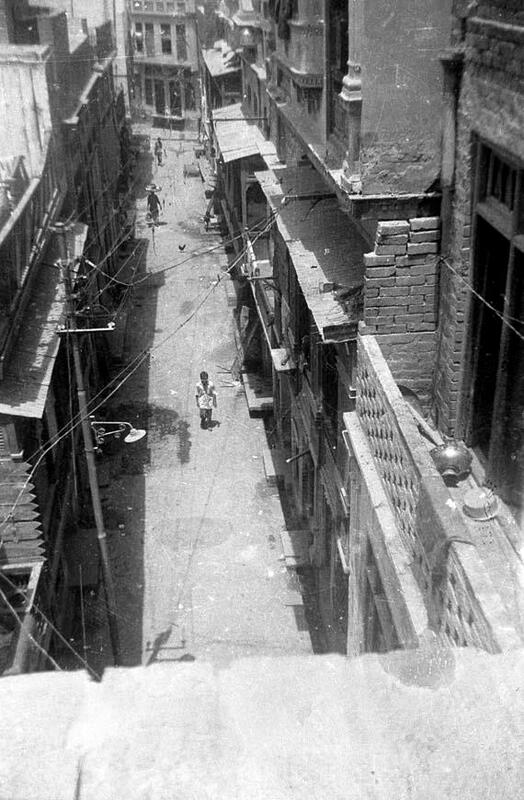 I spent my summers growing up at my grandparent’s residence in Lahore, Pakistan. Every morning, despite the sleepless nights spent goofing around with my cousins, I was begrudgingly woken up by my mother and taken to the breakfast table. “Eat!” nanabu (maternal grandfather) would say, “This is halal!” Despite his repeated insistence, my American upbringing conditioned me not to stomach (pun intended) the lahori delicacy of siri paye, or the head and hooves of goat. I looked on; however, as I could tell how much enjoyment my beloved grandfather took in eating and also giving food to others. Perhaps feeding others freely was an acquired trait rooted in his impoverished past as a laborer in pre-partition Amritsar. As my cousins and I had compromised on minced meat sandwiches with butter slathered toast – made by nanabu himself, mind you – the lethargy from the previous night subsided as our oblong breakfast table in Lahore converted into an intellectual coffeehouse. Despite having completed only a fifth grade education, Nanabu would recite poetry from memorization. My grandfather was not educated; he was knowledgeable. His intellectual prowess would today be castigated by western secular epistemology, which de-legitimizes knowledge rooted in indigenous and religious traditions, attained outside the context of an institution. Many of his favorite poems mirrored Eastern/Islamic philosophy or political thought. He revered Iqbal; many Muslim colonial subjects from the Punjab did. “Nanabu agar aap parh likhe hotey aap shayad Einstein bante! (If you finished school perhaps you would have become Einstein! )” I would tell him. “Nahi,” he would say, “mai kuch nahi hoon.” (No, I am nothing.) He carried himself with humility, a rare trait to be found these days. After all, such morals only serve to strengthen human beings, yet weaken citizenship, the central social identity defined by the nation-state and its restrictive parameters. His room smelled of a hint of cigarettes, English toffee, and cologne. If I were to smell his sweater long enough today, I am able to place myself back in his room, twirling from his music collection to his books to his chairs and coffee table for his guests, whilst catching a whiff of that intoxicating scent. It is an odd combination of smells for a young girl to adore, but I loved it nonetheless. Much to our parents chagrin, my cousins and I would mimick nanabu — and not TV or billboard ads — as we held the perfectly crafted cigarette between our fingers. I don’t know why our parents hindered us from constantly barging in his room, it was clearly the most exhilarating! The man had an aura of magnetism around him, which his eight children and twenty-five plus grandchildren can attest – although I admit, we are perhaps biased. I have always felt that it was his undying belief in self and community empowerment which made him unique; he exuded an understated confidence. “Khudi ko kar buland itna kay har taqdeer se pehle khuda bande se pooche ‘bata teri raza kya hai? (Elevate yourself so high that before every decree, God asks you ‘What is your wish?’)” he would often remind us. Nanabu sought refuge and agency in Iqbal’s concept of khudi; it allowed him the political imagination to envision a future beyond an occupied existence. He was amongst the Muslim underclasses of British Punjab; an ordinary man. And yet, in this ordinary existence of odd-end jobs, political turmoil, and social isolation, his rigorous and continuous engagement with intellectual advancement made him extraordinary. My poetry classes at the breakfast table were complemented by evening lectures and discussions surrounding classical Urdu and Punjabi ghazals, or lyrical poems set to music. Nanabu taught us to recognize enlightenment through various mediums – whether in music, human relationships, or poetry. My cousins and I would often tip-toe into his room, paanch (meaning ‘five,’ as the rooms of the house were numbered) and turn on his stereo system. We were disappointed when a click of the on button did not result in the latest Western pop music as it did on MTV India, however, later on in life we would appreciate the wisdom behind nanabu’s mystical collection of poetic ghazals. 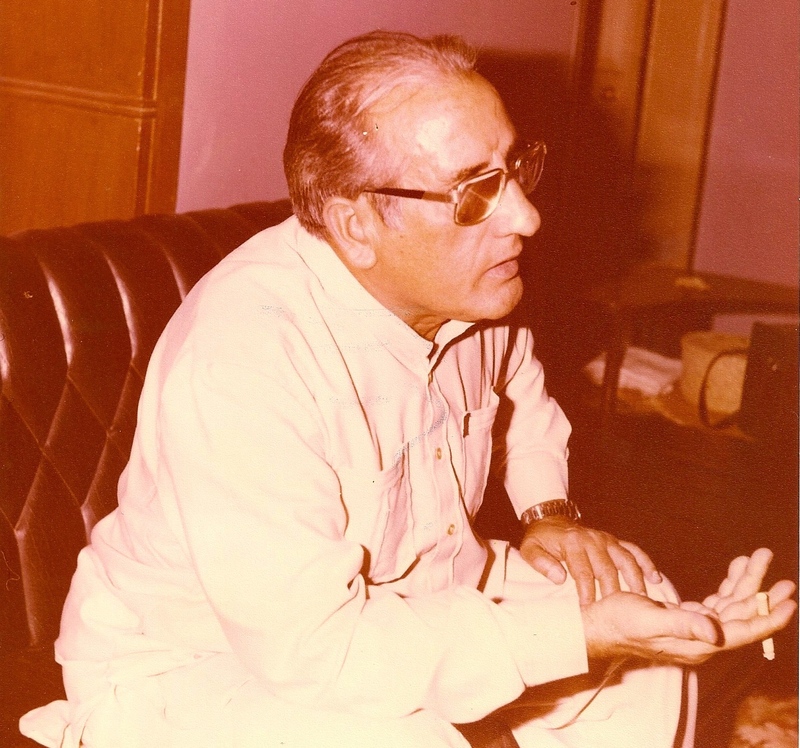 Faiz taught me the multiple meanings behind struggle, Habib Jalib and Ustad Daman became a language for those silenced, and the raags, or musical notes, accompanied by Ustad Barkat Ali Khan and Begum Akhtar allowed me to envisage love as a metaphor for a broader political and spiritual vision. There is a well-known phrase in Urdu related to the complex art of raising children: taaleem-o-tarbiyat. Nanabu’s tarbiyat, or upbringing, of his children is (hopefully) apparent in our commitment to ihsan (the Muslim responsibility to seek excellence in worship), and his instilling of taleem (education) is in our constant search for knowledge, which elevates human beings. Besides being my respected elder and fashion inspiration, nanabu was also my go-to political analyst in Lahore. His morning routine consisted of feeding the animals in our front yard, followed by reading his newspaper in the garden. As a quiet yet curious teenager, I was eager to inform myself about the world, and so I asked nanabu if he would subscribe to the English language newspaper for me. We read our Urdu and English newspapers and mutually reflected knowledge based on our respective times. He brought in wisdom rooted in poetic politics and spirituality. I was the young woman who asked questions – still a daring concept in many contexts. After 9/11, I would inform him about the plight of American Muslims. As I detailed the stories of mass surveillance, detainment, and racial profiling, my capricious tone – sometimes reflecting anger, sometimes desolation – revealed my adolescent reaction to the extremity of the situation. Nanabu; however, would simply nod with a monotonous expression as if he was somehow familiar with the narrative of isolation. His wounds as an occupied subject of British colonialism allowed him to relate to and critique post-9/11 geopolitics. He would speak of the economic disenfranchisement of Muslims in colonial Punjab, for instance, as an integral component of occupation. While the economic condition of Muslims in post-9/11 American cannot act as a parallel, the ideologies of power and occupation still permeate political and social contexts. Nanabu understood such ideologies, their centrality to US Empire, and their influence in peripheral institutions. My camaraderie with my grandfather reflected what I yearned for in the US: a detailed critique of Empire and its consequences. Our conversations provided me with the intellectual vigor to examine politics not from the perspective of those in power, but from the sea of people whose existence and resistance serves as a reminder of the spiritual heights the human race is capable of. Like soldiers returning after a sanguinary war, survivors of the colonial and partition era also embodied significant trauma. Life moved on for my grandfather and others, but they were never able to revert to the previous state; I’m not sure if my grandfather ever did. Despite wounds rooted in enforced poverty, violence, and war, nanabu also shared stories that represented kindness, human empathy, and the will to implement ihsaan, or good, which Islam teaches is a part of worship. There was a particularly special story in which nanabu remembered the benevolence and companionship provided to him, a young Muslim boy, by a newly wedded Sikh woman in his time of distress. During one of his odd jobs, he had to deliver a package to someone’s house. He couldn’t find the house; however, and came across a Sikh woman who — through her ghoongat, or uniquely styled scarf which gave away her identity as a new bride — spoke to him in Punjabi: “Veer, ai lo roti kha. Assi chadd awaan ge. (Brother, here eat some food. We will drop off the package.) 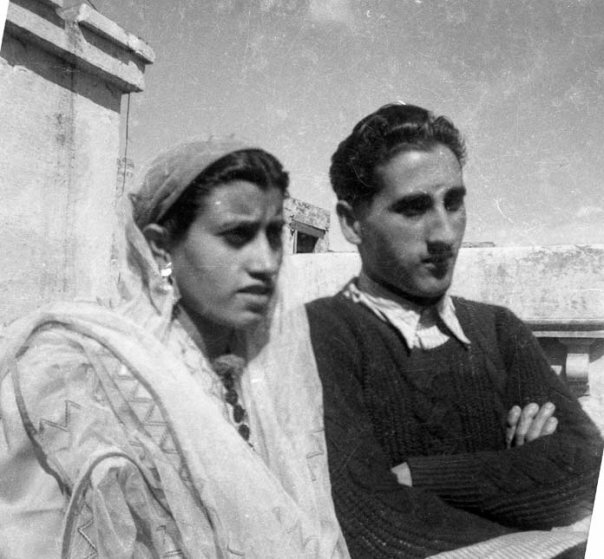 Nanabu remembered the softness in her voice sixty-five years later as he lay on his deathbed in post-partition Pakistan, her kindness remembered across newly drawn geopolitical lines. The humanity exemplified in my grandfather’s story problematizes the orientalist tropes of the ‘intolerant’ Hindu, Sikh, or Muslim taught in prevailing westernized discourses. Indigenous narratives evoking memory of a South Asia once known for its interreligious harmony, political unity, and camaraderie challenges the matrix of Empire and client state patronage and thus acts as a politicized weapon of truth-telling and resistance. In a way, my grandfather’s generation represented a lost tribe. Freedom, for them, was a glimmering memory of the past. And yet memories often have the power to reinvigorate the beauty and consciousness found within the collective human spirit. 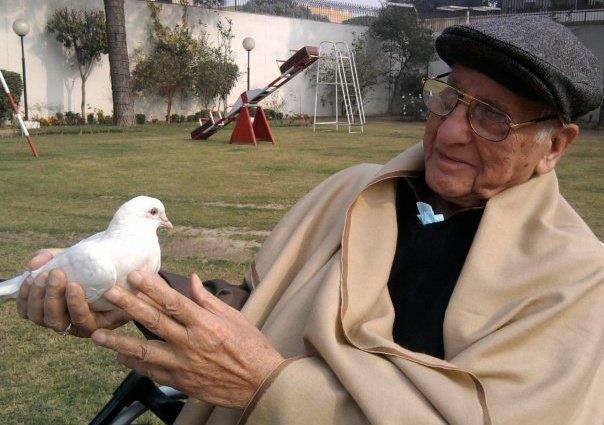 Pakistan was created in 1947, and my grandfather’s love for his land was spiritually kinetic. I often wish my grandfather and Edward Said could have met, as Said’s writing often follows a theme on homeland and displacement. Nanabu’s sentiments can be explained by a simple truth: as the country grew, so did he. As Pakistan’s newly born population crafted statehood, nanabu immersed himself in Islamic intellectual history, poetry, and grew intellectually. As the country neared its fifth year, nanabu laid the foundations for his business and contributed to Pakistan’s industrial growth. And when our repackaged colonial ‘leaders’ sold the country in promises of multi-billion dollar deals and validation from western interests, nanabu’s lamenting sighs echoed those of Faiz in poetic form: Chale chalo, kay woh manzil abhi nahi aye (Let us go on, for that goal has not yet arrived). What else is there to describe about a traveller’s compassion towards his fellow traveler? He was not a class theorist, yet his critiques on the subject were much more refined than those of the elites of the country. “Inka bhi dehan rakhna chahiye” (We should take care of them too), he told me once as he pointed to the servant staff in our house. As I grew older my interest in the family business piqued, and so I would ask nanabu questions about his employees — ‘approximately how many employees?’ ‘What is their pay?’ ‘Are there unions?’ While memories have faded, I recall him always prioritizing the rights of workers in his responses. He did this in other contexts as well; car rides home after meeting with relatives or friends were slightly daunting, as everyone anticipated nanabu’s interrogation sessions.‘Kithon aye ho? Khane kinney da si? Ik mazdoor di kamaai day barabar tussi Ik din da khana kha lita! (Where are you coming from? How much was dinner? The dinner you all ate was equivalent to a worker’s salary!’) He would ask this in a pre-partition Punjabi vernacular that now seems like a wistfully lost art. I dearly miss that line of questioning; it reminded me to live amongst the people. Towards the end of his life nanabu found it difficult to speak due to illness. What was perhaps most difficult for his family, and presumably for him as well, was to witness the slow acquiescence of a man brimming with stories, travels, lessons, and other remnants of wisdom. South Asian women are the ones usually depicted as vivacious, with their rich clothing and jewelry – however my grandfather was no less colorful. On one August 14th, Pakistan’s independence day, in an effort to get my grandfather to speak, my mother asked him the obvious question. “Aaj chauda August hai abaii, aaj kera din ai? (Today is August 14th dad, what happened today? )” With eyes wide open and his neck lifting from his reclined state nanabu replied — in a rather confident and doting tone: “Pakistan bana tha! (Pakistan was made! )” I remember his love for homeland not as a cry for nationalism but rather as a profound trust in the fruits of liberation and struggle for justice. Islamic philosopher Syed Naquib al Attas defines knowledge as an individual’s recognition of his/her place in God’s hierarchy of beings. My grandfather was not a theologian, but rather an individual part of a sea of people who recognize their existence as spiritual beings with a collective commitment to pursue knowledge as a means to implement ihsan in worldly and spiritual affairs. Part of this commitment also entails restoring the balance of tawheed, or oneness of God and His creation, within the self and greater society. Nanabu was not without flaws, but that is exactly the point. Iranian intellectual Ali Shariati says that human beings are constantly migrating – migrating within the soul – which parallels jihad al akbar, or the greater struggle with one’s ego. He embodied a constant struggle: as a subject of a colonial occupation, as a laborer, as a self and community taught thinker, and as a self-made industrialist. A month ago I sat in a mosque nanabu had built in Sheikhpura, a small industrial village on the outskirts of Lahore. I offered the early afternoon prayer, and as my forehead met with the carpet I thought about the significance behind such an act. In an age of modernity, where the technologies of progress are constantly defined by the self, my prayer represented the antithesis of what we call progress. That act of prostration, that dire need for the spirit to find its way home, represents sagely wisdom lost amidst today’s talk of progress. My grandfather’s praxis represented a softer revolution: to realign the soul with its Divine origin. The memory of him embodying khudi and revolutionary love is with me today, and continues to remind me of the deeper imperative to decolonize and indigenize collective political systems, but also individual hearts and minds as well. Guevara, Che, and David Deutschmann. Che Guevara Reader: Writings by Ernesto Che Guevara on Guerrilla Strategy, Politics & Revolution. Melbourne: Ocean Press ;, 1997. Said, Edward W. Out of Place: A Memoir. New York: Knopf, 1999. Attas, Syed Muhammad Naquib. Islam and Secularism. Kuala Lumpur: Muslim Youth Movement of Malaysia, 1978. Shariati, Ali. On the Sociology of Islam: Lectures. Berkeley: Mizan Press, 1979. Sania N. Sufi is a political science graduate of Loyola University Chicago and former researcher at the Human Rights Commission of Pakistan. Her interests include the intersections between Islamic intellectual and political thought, decoloniality, and Islamic social movements.